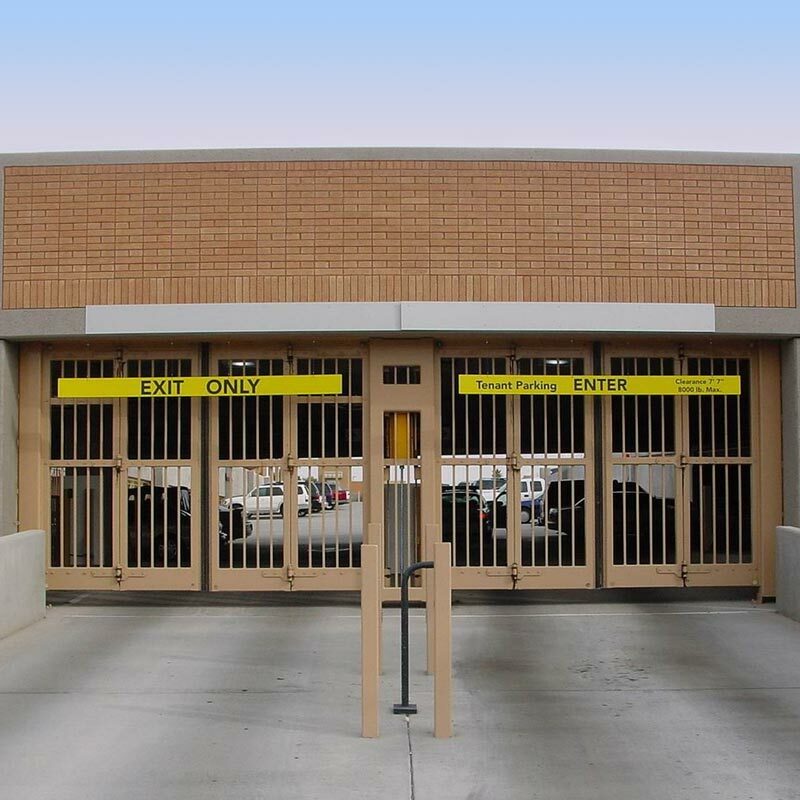 EPD’s Four fold doors are used in Secured Parking applications and provide dependable quick-acting operation along with increased levels of protection. 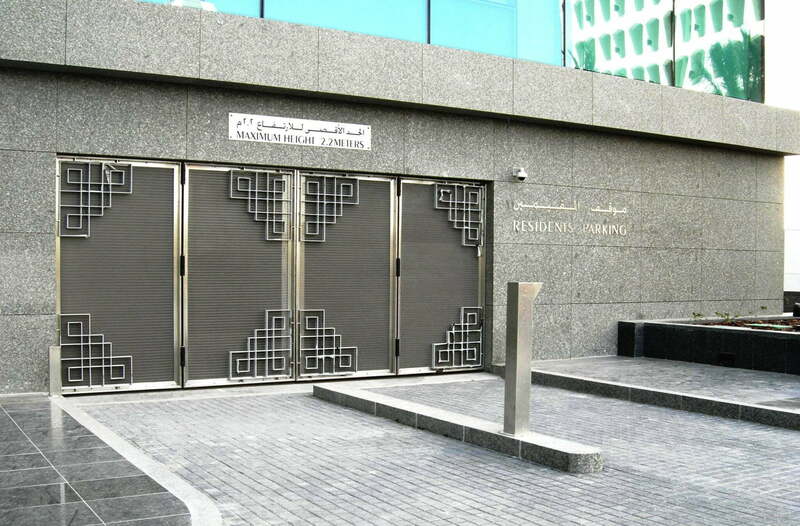 Doors are designed and fabricated to last for the life of the building. 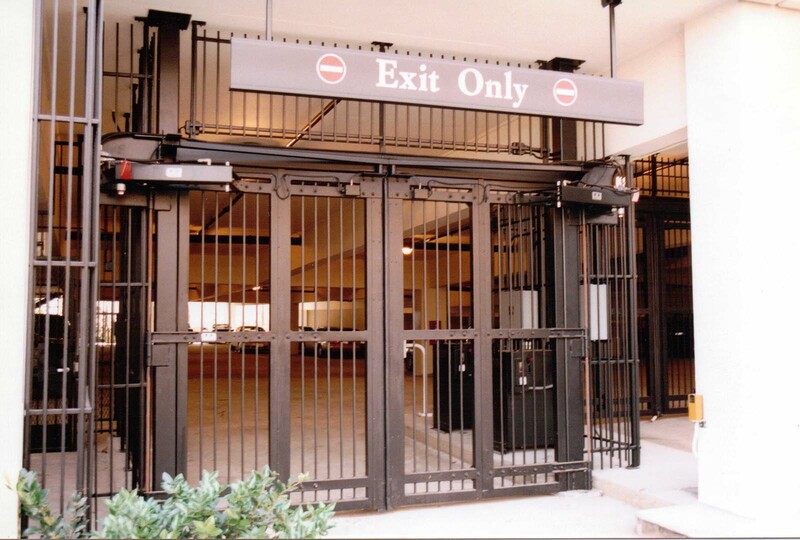 These high-cycle doors regularly operate over two million times and only require minimal amounts of maintenance. 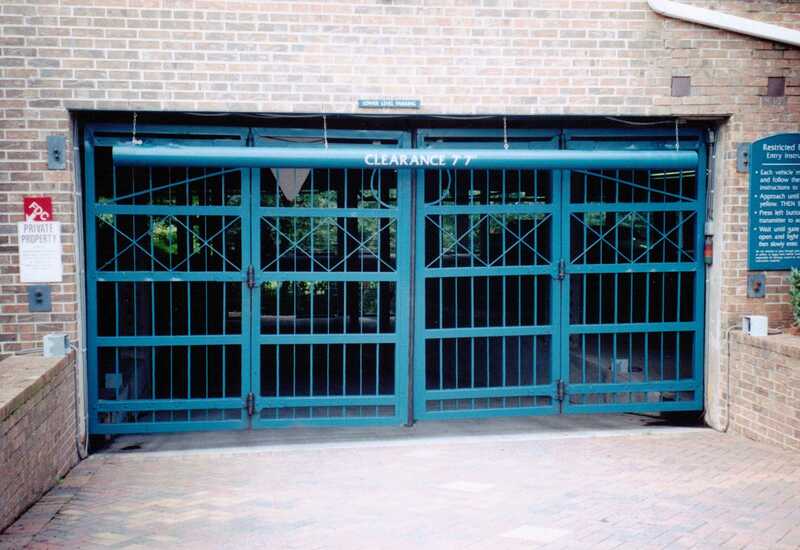 Low maintenance maximizes the usefulness of the door application by minimizing out-of-service time and inconvenience. Minimal repairs over the life of the door reduces the need for costly service plans. 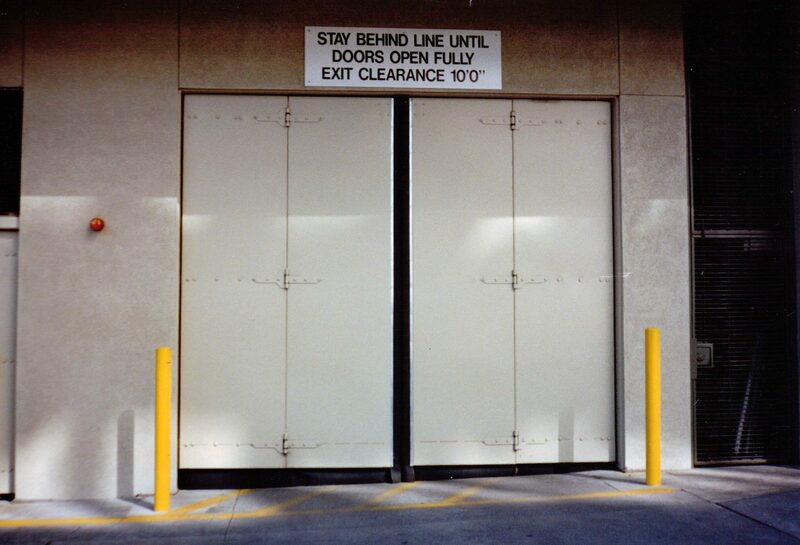 EPD Four Fold doors can be easily switched to the manual operating mode whenever power failures occur. No tools are required for conversion from powered to manual operation. The door panels swing open or closed with minimal force. Four fold doors automatically re-synchronize themselves after returning to powered operation. 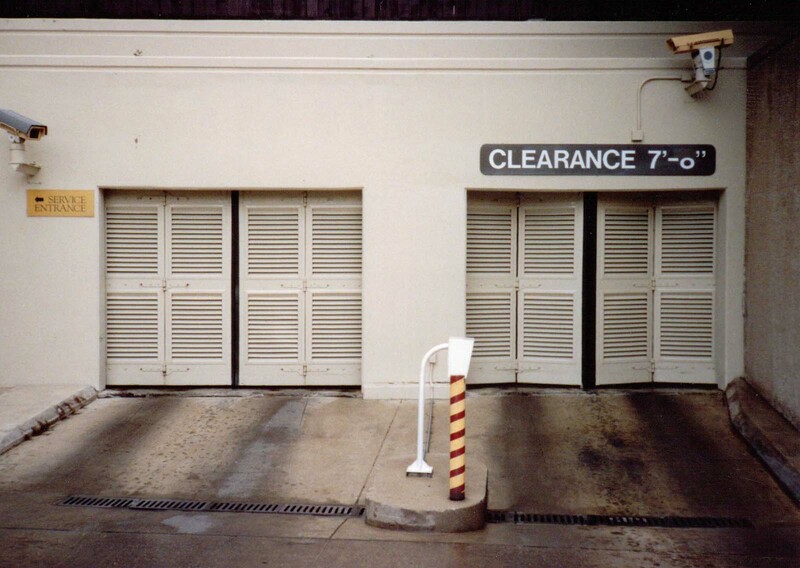 The door’s operating method reduces the likelihood of damage. 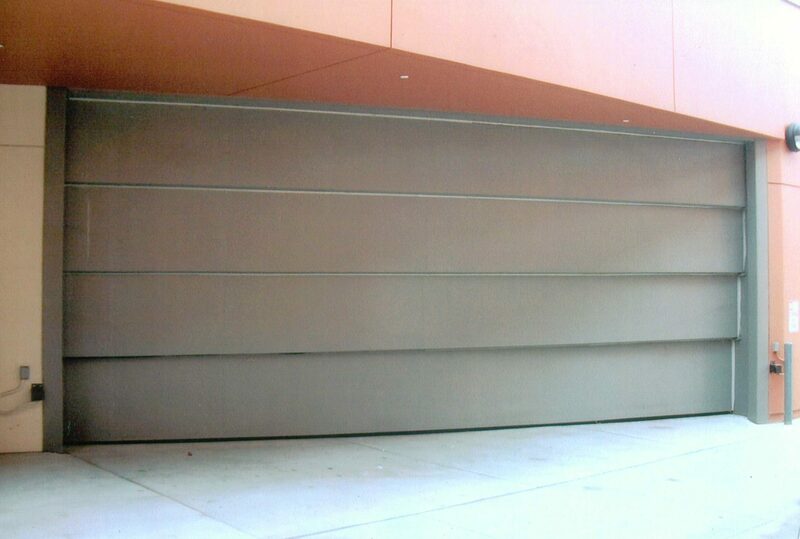 Rapidly moving door panels travel in horizontal directions. Sideways motion along with quick two-feet-per-second opening and closing speeds keep the door panels in the sight-line of the driver at all times, thus reducing the chances of damage. 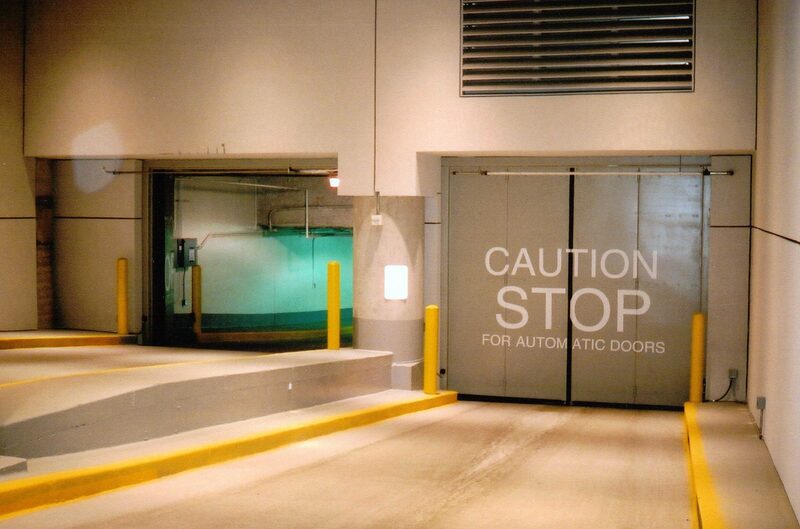 Automated door controls are custom engineered to prevent damage. Through-beam photo electric eyes, inductive detection loops, microwave, ultra-sonic and other sensors are used to control door logic sequences. Pressure sensitive edges are applied to critical areas on the door panels and provide control signals to the logic panel. 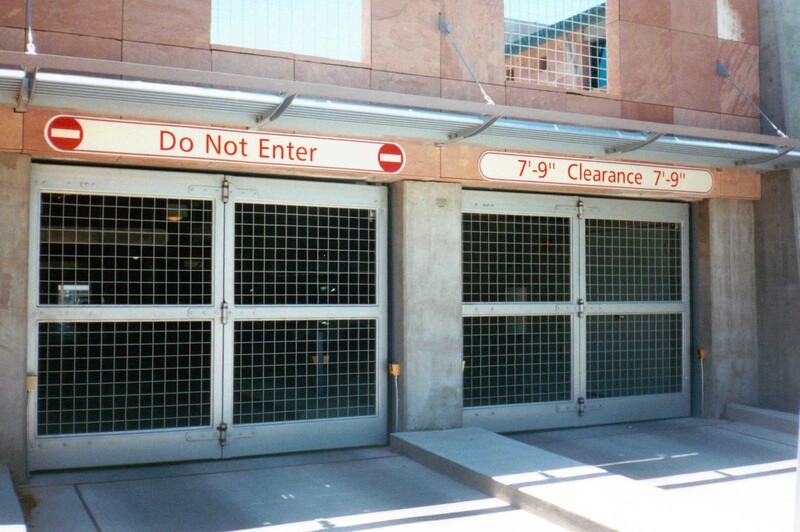 A variety of controls are available including inter-faces with existing parking and security control systems. Resistance to high winds, earthquakes and hurricanes. 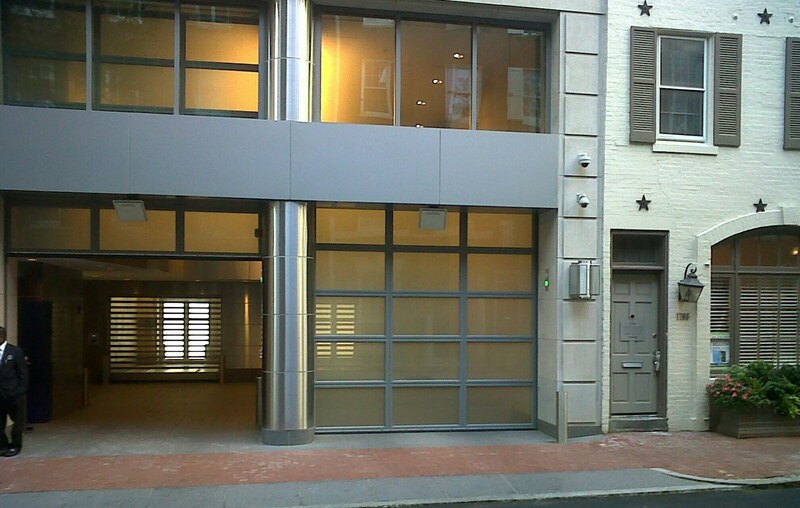 Custom door panels designed to compliment any building’s design. Bullet and crash resistance system. 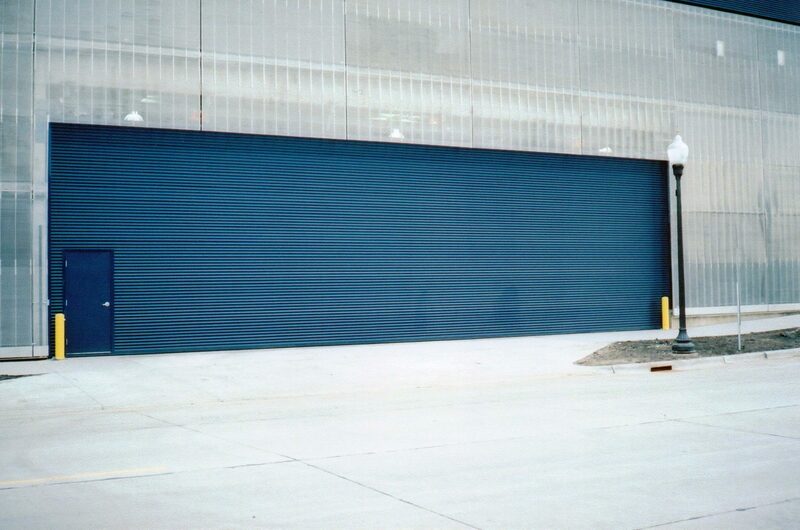 Wood cladding, flat and pre-formed sheeting, bars, mesh, and glazed panels are available. 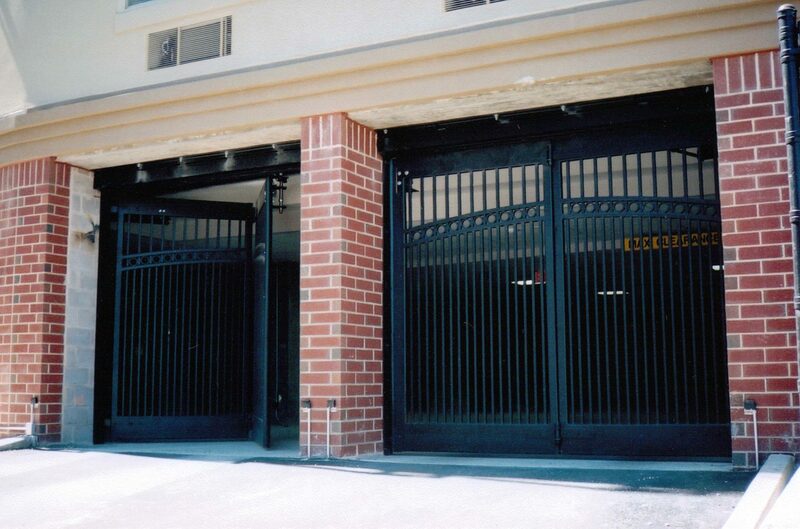 Special locking devices for physically locking the doors into position are available. They can be hydraulic, pneumatic, or electrically operated. 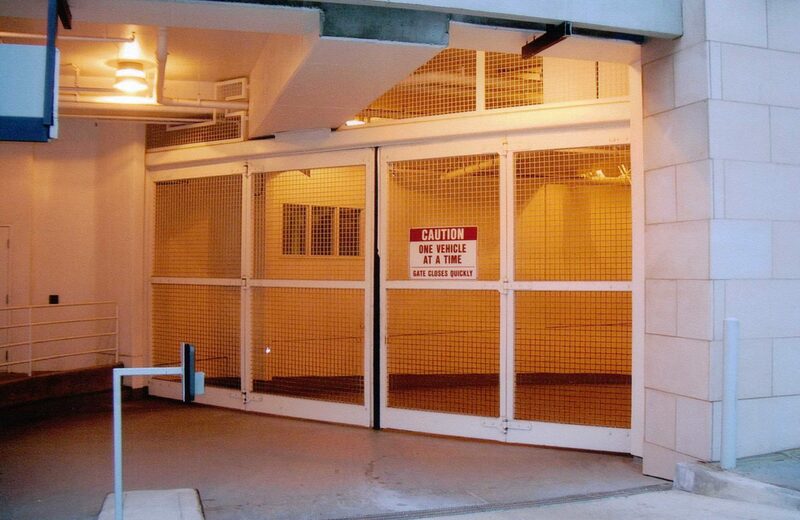 EPD Model 47 Bi-fold Doors with Security Mesh Sun Healthcare System’s Parking Ramp New Mexico. 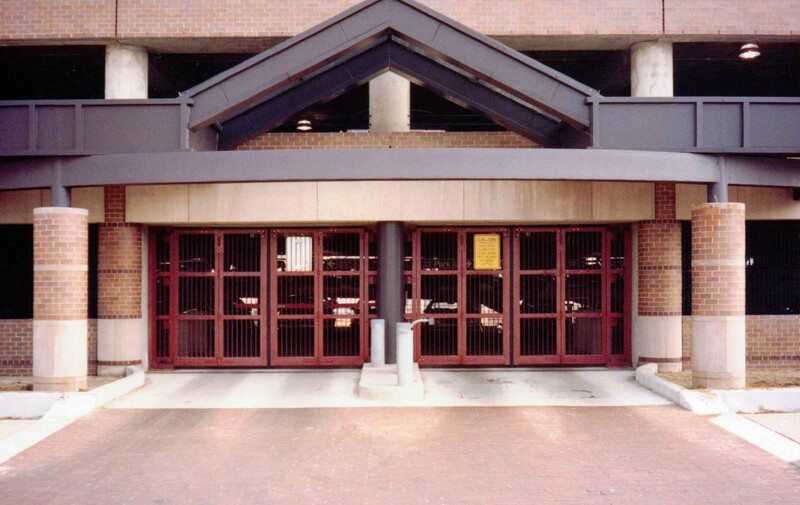 EPD Model 45, Four Fold Door with Vertical Round Rods Kellog Foundation Parking Facility Battle Creek, Michigan. Bi-Fold Model 45 Avalon Newton Heights MA. Bi-Swing Model 46 Maxwell Place Parking. Four Fold Model 45 Asbury Glen Parking Garage GA.
Four Fold Model 45 Glendale Police Parking AZ. Four Fold Model 45 Huntington Hospital Parking CA. Four Fold Model 45 Mesa Police Parking Garage AZ. Four Fold Model 46 Minneapolis Central Library Parking MN. Four Fold Model 46 Portland Plaza Parking OR. Four Fold Model 46 Stainless Steel and Special Cladding Dubai World Trade Center. Four Fold Model 47 Santa Monica Public Safety CA. Four Fold Model 48 (Louvers) La Tour Turtle Creek Condos TX. Top Hung Sliding 1 Leaf with Mandoor Guthrie Theatre Parking Ramp MN. 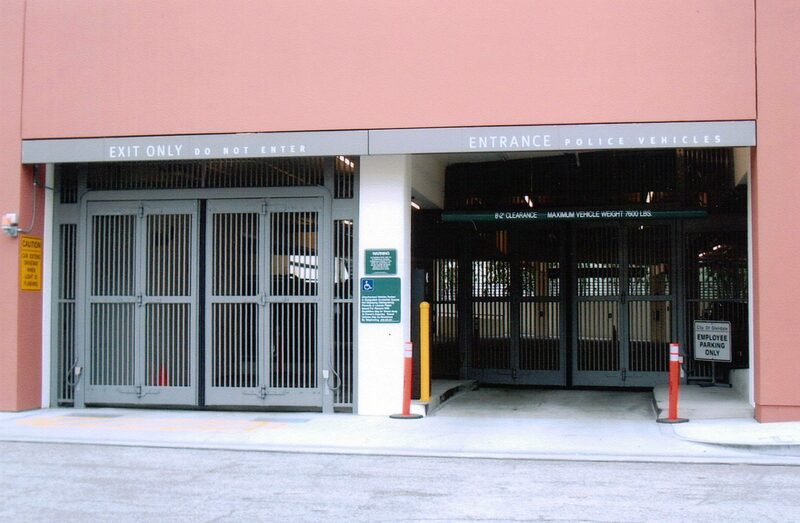 Vertical Lift Glazed Rittenhouse Towers PA.
Vertical Lift Glendale Police Parking CA. 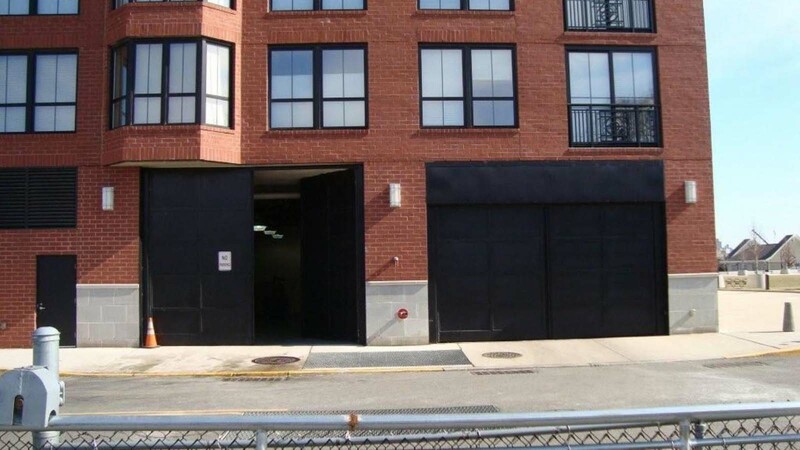 Vertical Lift with Mandoor Terminal Parking Garage MD.